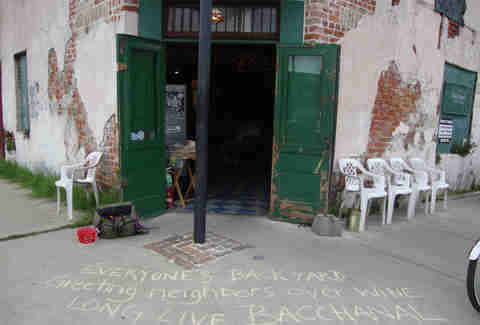 What started as a small wine shop with live music in a cozy Bywater courtyard has turned into what’s described as a “wine laboratory” with an expansive array of vino, fantastic food, and wonderful entertainment. It’s not quite as under the radar as it used to be (expect a sizable crowd on weekends, and when the weather is favorable), but it still has an outstanding wine selection, as well as friendly and knowledgeable staff to help you decide what’s best for sipping on the spot, and what you might want to take home and save. With dozens of wines by the glass and nearly a hundred hand-selected bottles, Oak has a selection to please any wine lover. 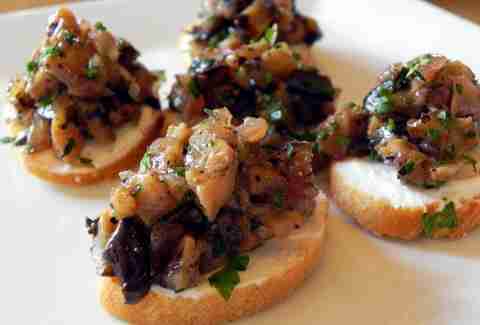 But what really makes things interesting is the fact that its varietals are grouped by palate, which is good, since the menu of tasty small plates was designed by Chef Aaron Burgau of the restaurant Patois. Bonus points for offering a craft cocktail menu, as well as live music. 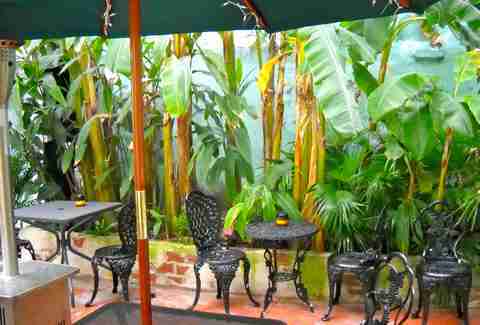 This relatively recent addition to Magazine is a small but comfortable spot to explore your palate and leisurely sip with a friend. The white leather sofas might make you a little nervous about spilling some Cabernet, but the cozy, intimate setting is pitch-perfect for date night. Also, the $5 “leisure hour” special from 3-6pm Wednesday-Monday and all day Tuesday (red, white, and bubbles), is a solid deal. Located on historic St. Charles Ave, you could hardly ask for a better spot to enjoy some wine and watch the streetcars. The bartenders know their vino and are happy to help, even if the thicket of decidedly young and well-heeled patrons might mean that it takes a spell to get your order in. And if wine’s not your thing, there's a well thought-out spirits list, as well as awesome food. Goose fat fries and frogs’ legs with spicy remoulade, anyone? 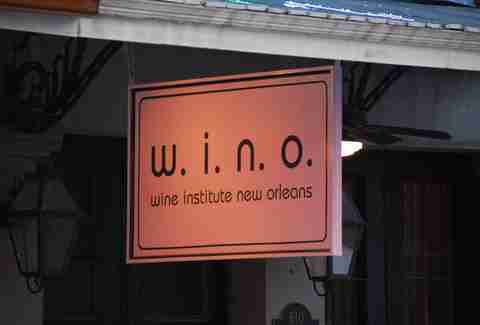 Not just your average wine shop, the Wine Institute of New Orleans (talk about an appropriate acronym!) offers tastings, classes, and more to help educate you, improve your palate, and get you nice and happy. This place is pretty high-tech, too, with automated pouring machines and tasting cards to help you as you work your way around the global selection of 120 wines by the ounce, half-glass, or full pour. 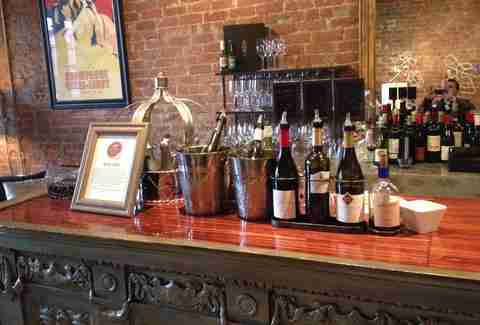 Wine and “casual fine dining” is the idea at this Vieux Carre spot in a historic building constructed in 1809. Grapevine offers eight wine flights ranging from nternational white to port, Chardonnay, Pinot Noir, and dessert wines, and a lengthy list of wines by the glass and bottle to enjoy. And the manly menu (double-cut pork chop, steak, steak AND lobster, etc.) 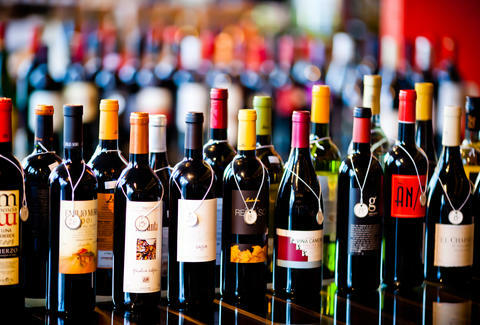 states advisable pairings, which can cut out some of the guesswork for the indecisive or inexperienced oenophile. 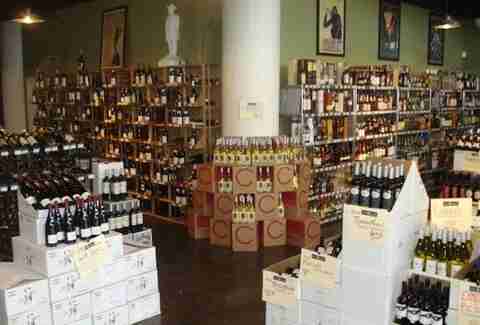 If there’s one thing to say about Pearl, it’s that the shop has, definitively, the largest selection of wine in New Orleans (over 600 bottles). That’s pretty impressive, you have to admit. Adjacent to the store is Pearl’s wine bar, which offers vintages by the glass ranging from $5-$35, in addition to cocktails, craft beer, and dessert wines. Also noteworthy is their events schedule, which features, among other things, “Massage and Martini Mondays.” Um... yes, please. 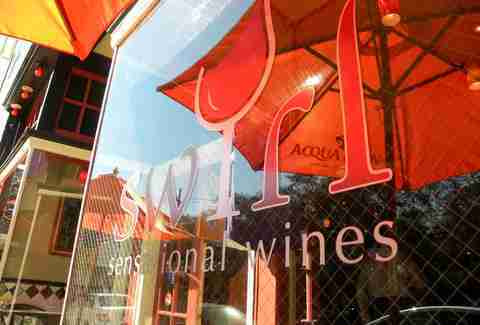 With over 30 wines by the glass (not to mention generous pours), Swirl is known mostly for its European selection, paired with light fare like pickles and cheeses. This is most definitely the place you want to go after Jazz Fest if you’re looking for a spot that offers better wine (significantly) than the fest within walking distance of the fairgrounds. 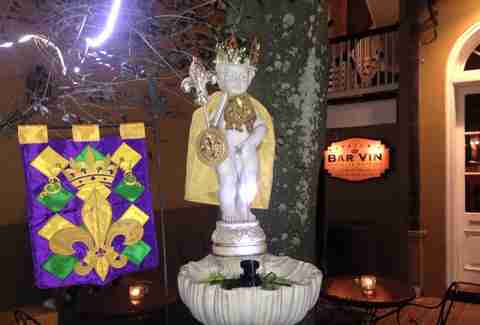 Should you be on the hunt for a handsome, upscale wine spot in the heart of the Quarter, Patrick’s is where you should be headed. The list is solid, and it has a lovely courtyard, but don’t miss the happy hour special (4-7pm Mon-Thurs), which features domestic beer at $2, plus well drinks and house wine for $4. And if you happen to need your own personal, climate-controlled wine locker -- engraved with your name, no less -- it has that, too. 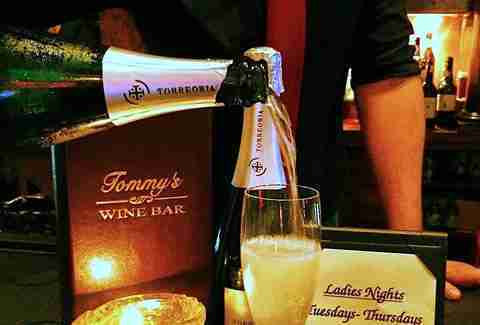 “Classic Creole Italian” fare and wines to match are the hallmark at Tommy’s restaurant, an upscale, downtown affair. 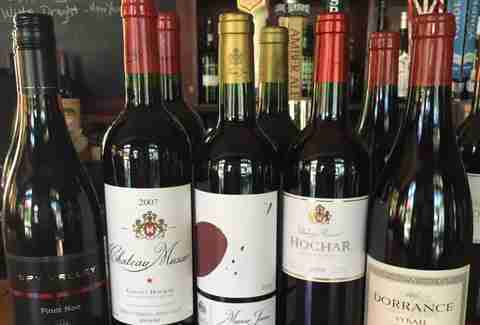 At the wine bar, the 150-deep wine selection offers 20 by the glass, joined by a sizable Scotch, bourbon, and Cognac list, as well as the de rigueur small plates, cheeses, and so forth, plus apps and desserts if you want something a little more substantial.